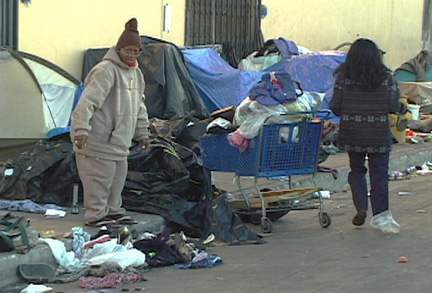 It's difficult to make sense of what I saw last Thursday, February 20th, in downtown Los Angeles’ skid-row area. 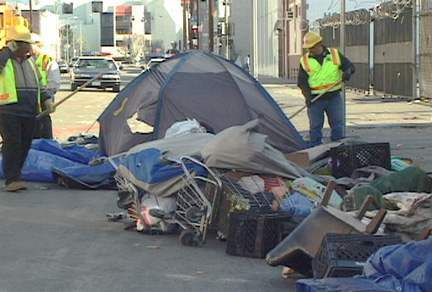 A sweeping was announced at Towne Avenue between 4th and 5th Street, where many homeless citizen put up their tents. I decided to go there to witness and document the affair. I got there early morning at 5:00 AM. It was still dark, but there was a lot of turmoil, more than usual. 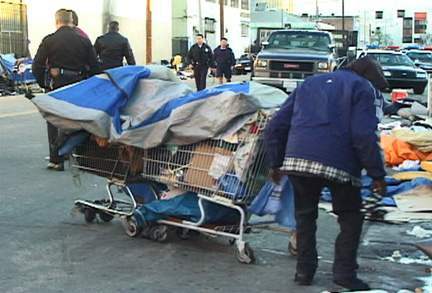 I saw women and men running around trying to get shopping carts to pack their -belongings. The ones who were lucky to secure a cart packed them as high as they could push them. Many of them seemed disoriented, unsure of which direction to run with their belongings. 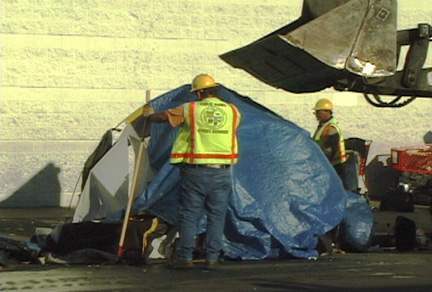 Lacking alternatives, many of these citizen had made Towne Avenue their temporary home. As the daylight started to set in, most of them had dispersed, leaving behind their dwellings, brand new tents, mattresses, blankets and personal belongings. The scene reminded me of a battlefield. Everything was in a big disorder, clear traces of confusion, as the abandoned items were rummaged through many times over. Around 7:30 AM, the street was raided by a proportionally oversized police force. 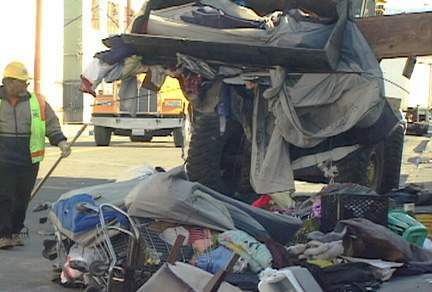 The street sweepers began to collect while a few homeless people were still going through the abandoned waste. A women was pulling two shopping carts through a group of police officers, who were in her way to get out, they starred and watched her struggle. It was a scene of utter desperation and humiliation, and a clear reflection that our society regards poverty as shameful. Many of the abandoned belongings were donated things, discarded objects and remnants of a wasteful society. 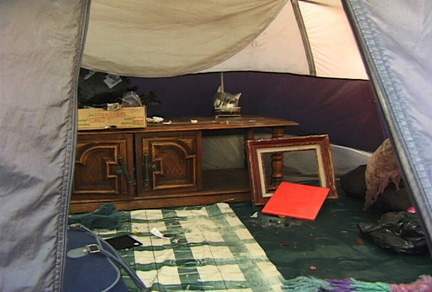 Some tents were in brand new conditions, probably saved up by a homeless couple. Some tents were neatly furnished with blankets, mirrors and make-up, stuffed animals a radio, bicycles and personal items. These somewhat cozy dwellings were first pushed down by the sweepers and then consumed by a bulldozer. 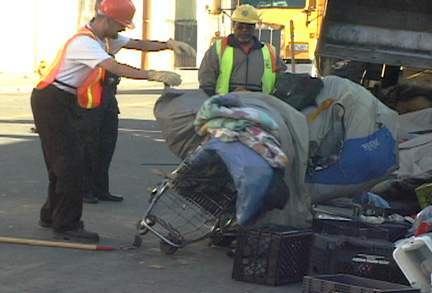 The city sweepers basically threw away homes that were as permanent as they can get living on a street. WHO benefits from taking away a tent and a blanket from a homeless? What alternatives do they have? Besides the display of most inhumane actions against poverty, it was clearly just a sweep under the carpet, because those citizen chased away by police and bulldozers are still on the streets, but now without tents and blankets and without shelter and warmth.